All of the lavenders make great butterfly nectar plants. 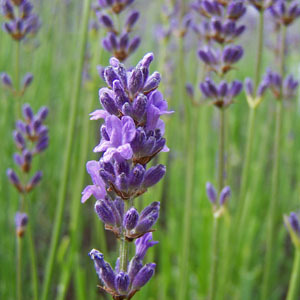 This cultivar of English lavender is taller than our others. Though it is not our darkest cultivar, we like it for fresh and dried flowers because it has nice upright stems and is very productive. The calyx color is purple; the corolla violet. Categories: All Items, all potted plants, butterfly nectar plants, culinary herbs, deer resistant, dried flowers, lavender plants, Potted Plants, More..